The most important things for a brand is a developing a responsive website that is welcoming and trustworthy. The online store owners use modern technologies to make their website mobile friendly and providing interactivity and user rich experience. All this is possible by engaging in PSD to HTML services. There are many PSD to Responsive Web Development and the website owners must make the right choice of selecting the best PSD to HTML service providers. PSD to HTML services has taken the online business to an advanced level. It creates dynamic web store in the virtual marketplace that is more engaging and informative. As the virtual business world is getting competitive more website owners are seeking partnership with PSD to HTML companies. Webappmate is one of the leading PSD to HTML service providers. Companies create portfolios to promote their services. Do not get impressed by this marketing tool. Check out the quality of the PSD to HTML Service Company. Many companies fake details to create a powerful online presence and visibility. Before you decide to outsource conduct a personal meeting and analyze their accurate position in the industry of web development. – Brands that they have served their quality work. The credentials of the service provided by the company must be considered. 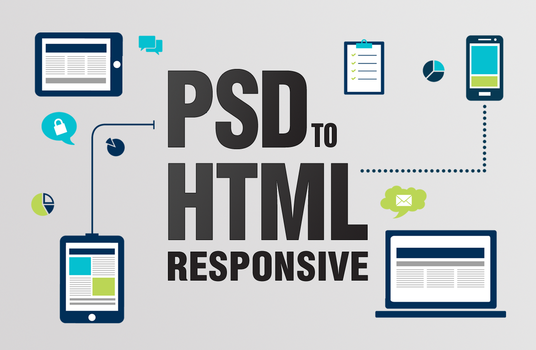 Have clear details about the credibility of the company offering PSD to HTML service. Get the details about their past and present projects, references and number of repeated projects. The functionality of the company is extremely important along with their spirit of dedication with which it works. – What is the latest technology used by them? – Is the team professional and dedicated? – Do they commit to deliver a quality project on time? With plenty of options available in the virtual market, the companies have to build trust in their brand. To increase the loyalty of their clients a trusted PSD to HTML Company not just provides timely service but provides quality after service and technical support. Webappmate has a long list of loyal customers. – Will you grant swift replies to queries? – Can future issues be resolved via smart channel interactions? – Any specific service that you are not liable to offer? Easy to read reviews and feedback are mentioned on the website. The background of the company can be easily accessed through it. This client record gives an insight regarding the service and the quality work delivered by the PSD to HTML service providers. – What do they charge for additional work? – Are their cost of service similar to the other companies? One of the leading qualities of a good company is that they complete the project on time and maintain its quality. Delivering the project on time is the responsibility of the PSD to HTML service provider. Webappmate is a reputed PSD to HTML service provider that sticks to all the above standards. The company is the perfect balance of quality work and a dedicated team having vast experience and expertise. They also offer technical support for any issues that can affect your business. Contact them to develop a perfect website for your brand.